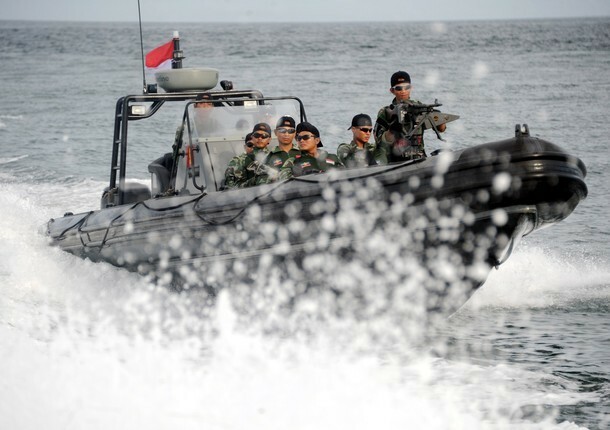 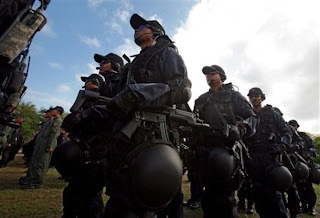 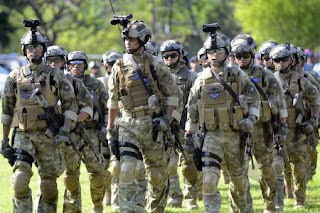 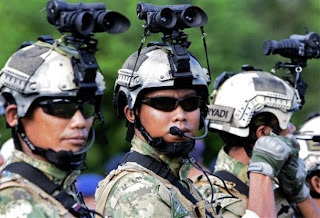 Indonesian navy special force members line up during a security parade in Nusa Dua, Bali, Indonesia, Saturday, Nov. 12, 2011. 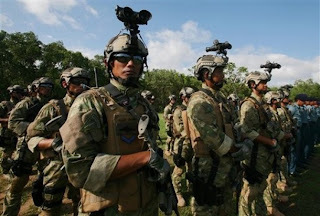 Indonesia will host the 19th ASEAN summit, in which President Barack Obama of the United States is expected to attend. 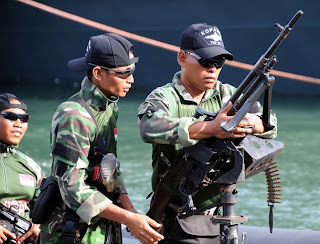 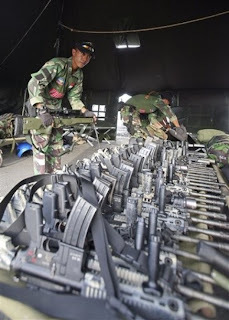 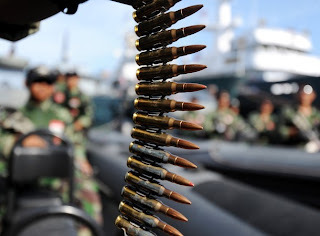 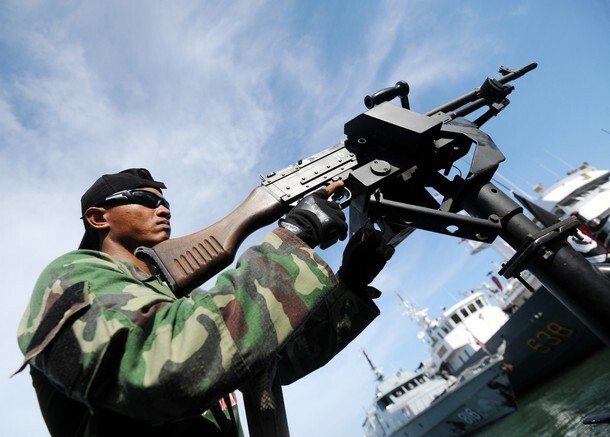 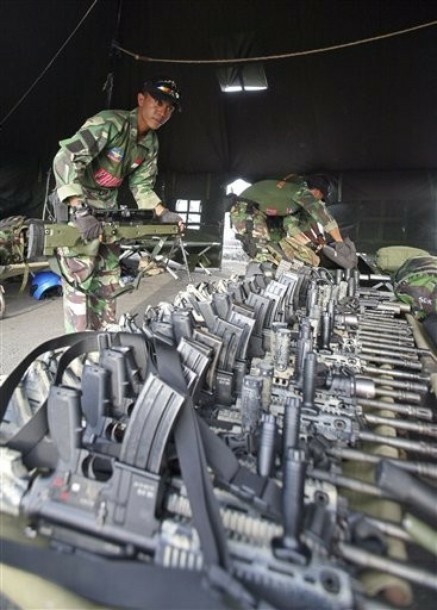 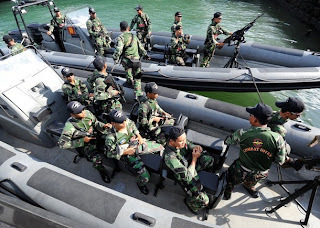 Indonesian Navy officers arrange their weapons at Benoa harbor after a patrol along coast of Bali, Indonesia, Saturday, Nov. 12, 2011. 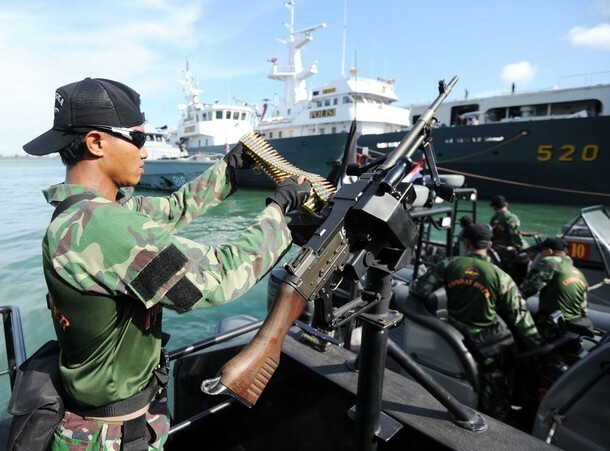 The navy has provided five warships to help secure the 19th ASEAN Summit which U.S. President Barack Obama is expected to attend for the first time.